Donald Trump's administration has discreetly added the judicial branch to a section of the White House website, after it was revealed that it had been removed. The disappearance of the branch unsurprisingly prompted outrage online. The online uproar stemmed from a section of the WhiteHouse.gov website titled ‘Our Government’. The category traditionally lists the three branches of the US government – the executive, legislative, and judicial branches. However, that section was altered one day after Trump's inauguration on January 20, according to the Hill. The section then included the executive and legislative branches, but failed to mention the judicial branch at all. Although the change apparently occurred earlier this month, it made waves online on Sunday, after a federal judge in New York issued an emergency stay which temporarily halted the removal of people detained as a result of Trump’s ban on immigrants from seven mainly Muslim countries entering the US. The internet then erupted with fierce criticism of the move – fanning the sense of injustice among those in the anti-Trump camp. Umm. Anyone else notice that the JUDICIAL BRANCH info page has been scrubbed from https://t.co/asqq4NLBAP? This is freaking chilling. 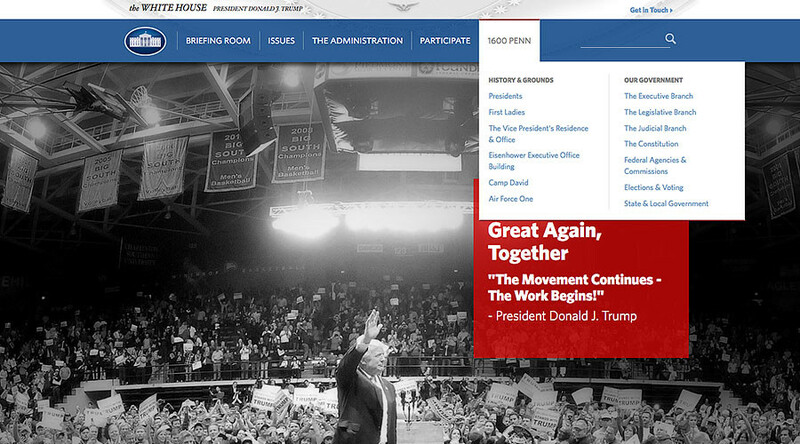 Several tweets compared a side-by-side view of the current White House website and the previous one, using a cached screenshot from earlier this month. One accused the omission of the judicial branch of being a "deceleration (sic) of intent," rather than an "accident." The Judicial Branch has been removed from https://t.co/Ajkez0cW2T. That sentiment was echoed by @richvisotcky, who tweeted that "a president becomes a dictator when he bypasses Congress and ignored the judicial branch." Another tweet called the move a "Constitutional crisis." This is happening: Trump's executive branch is ignoring the judicial branch. In other words, ignoring judges orders = Constitutional Crisis. And one suggested that the administration "may want to add it (judicial branch) back in tomorrow." It appears the Trump administration listened to that advice on Monday, when the judicial branch reappeared under the 'Our Government' section, in the same position it previously held. The judicial branch of government is made up of the court system, with the Supreme Court representing the highest court in the land. It also helps interpret the United States constitution – something which Trump has been accused of violating, particularly in reference to his executive order banning those from seven mainly Muslim countries from entering the US.